Oregon native Todd Roll knows Portland and he knows bikes. The owner of Pedal Bike Tours, he’s helped thousands of visitors explore one of America’s most bike-friendly cities for the past six years. “We cater to novice cyclists, people who haven’t been on bikes in many years,” Roll says. Pedal Bike Tours offers bike rentals and sightseeing tours of Portland and beyond. 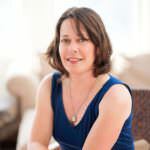 And it’s more than just business for Roll; it’s an opportunity to share a personal passion. “I just like what a bike does for me. I like to be out in the elements experiencing the world in its natural form,” he says. Pedal Bike Tours has garnered attention from the likes of Bicycling, Sunset and Time magazines for its tours. Check out their website for details about the Historic Downtown Tour, Oregon Brewery Tour and others. For more bike inspiration, check out Roll’s new book — “Pedal Portland: 25 Easy Rides for Exploring the City by Bike” (Timber Press, 2014). From that book — a combination of rides, local history and bike culture — Roll offers these three off-the-beaten track routes for exploring Greater Portland. This 10.34-mile ride starts at the Oregon City Transit Center. Explore the charming, revitalized Main Street and historic waterfront of the oldest city in Oregon. Check out Willamette Falls, one of the largest waterfalls in the nation. 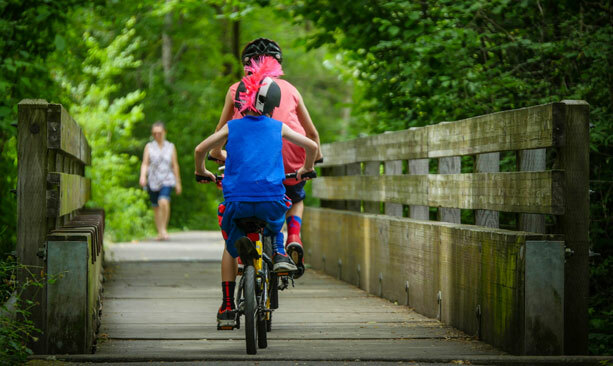 Hop on the Trolley Trail, a former trolley line, now a multi-use path. 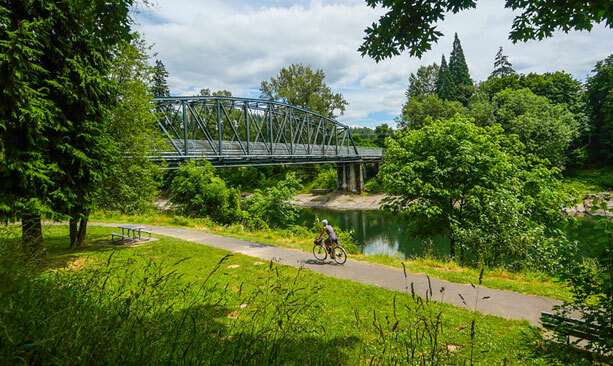 Take in the charming former mill town, Gladstone, and ride along the wooded banks of the river, then head back to Oregon City. The 11.1-mile ride starts at the Tigard Transit Center WES station. Rolls says the best part of this ride is the car-free Fanno-Creek Greenway Trail. The ride follows the creek as it meanders through industrial and residential areas into open meadows and ponds. 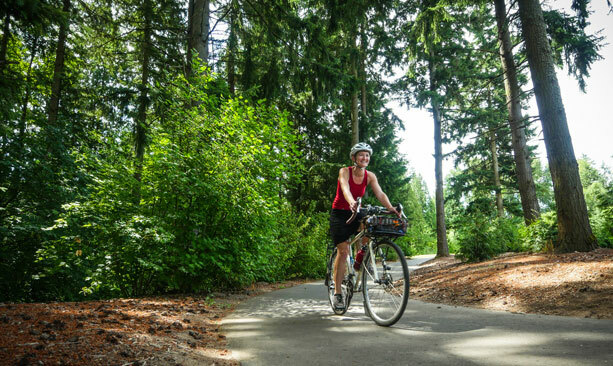 The route takes you through the suburban communities of Beaverton, Tigard, Metzger and Garden Home. Beginning at Quatama/NW 205th Ave. Max Station, the 9.95-mile route offers a glimpse into Oregon’s 19th-century farming past and the 21st-century high-tech economy (which has earned the area the name “Silicon Forest”). The ride passes Noble Woods, Rock Creek and Orchard parks, streams, wetlands and modern industry. 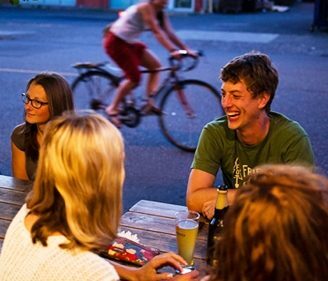 Overnighting on two wheels: Friendly Bike Guest House in northwest Portland caters to cyclists. Located just two miles from downtown, the guesthouse is ideal for exploring the eclectic neighborhoods of Portland. Amenities for the bike-minded include indoor bike storage, a mechanic stand and washer/dryer. 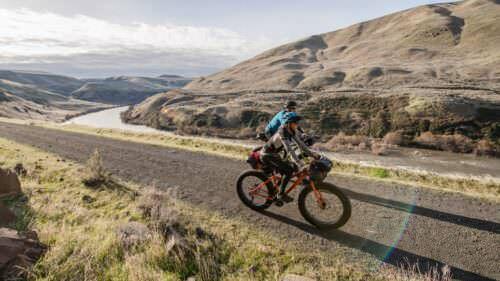 Find more cycling inspiration and plan your trip at RideOregonRide.com.